His Excellency Mr. Mohamed Al Rabee, Secretary General of the Arab Economic Unity Council and Dr. Mamdouh Rifai, President of the Arab Union of Customs Executives visited the Lebanese Customs in the framework of the joint Arab cooperation between the Union and the Arab Customs, as well as discussing the obstacles facing the trade exchange between the Arab countries. HE Ambassador Al-Rabea confirmed that Lebanon is a great Arab country which provided the Arab nation with many benefits, it is also a country with many advantages among the Arab countries. He added that Lebanon is a civilized country and one of the first countries from which we learn and with which we deal as an umbrella for Arab customs. He pointed out that Professor Badri Dhahir has a high experience in Arab Customs. He sought to simplify procedures and transactions and was able to achieve a high level of advanced technology in the customs world. He played a major role in establishing the Arab Union of Customs Executives and contributed to many mechanisms and successful procedures in the customs world. Badri said that developing the ideas of customs department are present in front of our eyes, that when we work alone, it is not enough, but our partners should help us before the start of our work - they are customs trustees, and this relationship moved from one place to another so that the role of the customs trustee is a must. Badri, the Director General of Customs said that we are always striving to improve performance and develop procedures to facilitate and simplify the transactions and we have a strong desire to move from one place to another, in addition, our work is not limited to supervision, but extends to the planning and feasibility study regarding the measures taken to ensure the approach that conducts transactions in accordance with regulations and laws , especially the Lebanese Customs Law is very effective and we will develop the same without prejudice to supervision and the technology usage, but the human remains the basis for information analysis, and we must train and qualify employees. 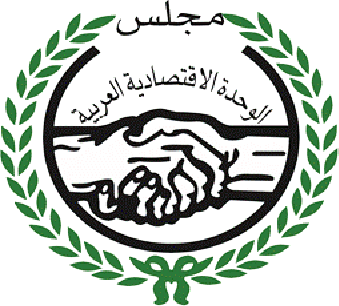 Dhahir added "I extend my sincere thanks to the Arab Union of Customs Executives for the honor and ask the Union to cooperate and communicate with its members to exchange information with customs in Lebanon, for the interest of trade exchange between the Arab countries. Dhahir had received the demands and problems mentioned by the customs executives, stressing that "Saturday shifts is not subject to the system of (Almasay) and stressed " work transparency because the country's situation is very sensitive," noting that "the Department organizes and sets procedures aimed at creating standards that improve performance ". Dr. Rifai pointed out that Professor Badri Dhahir is a leading figure , the character which is needed by the union to develop the customs in the Arab world. Mr. Badri Dahir has a great role in establishing the Arab union of Customs Executives. I thank and appreciate him for the efforts exerted. 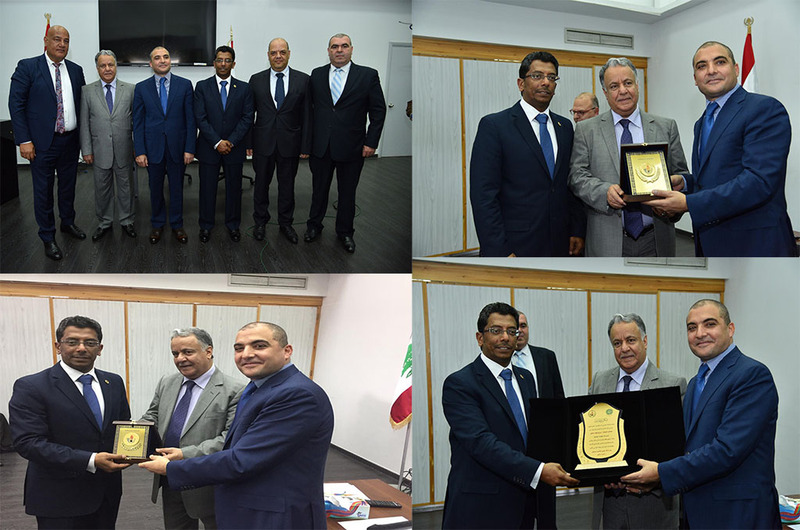 It is worth mentioning that Dr. Mamdouh Rifai handed over a medal of thanks and appreciation to HE Mr. Badri Dhahir, Director General of Lebanese Customs, and Mr. Badri in turn handed over the medal to HE Ambassador Mohammad Al Rabee. He also handed over the Customs medal to Dr. Mamdouh Rifai.